A passage from “Common Ground,” J. Anthony Lukas’s landmark book on Boston school desegregation, recounts Dexter D. Eure Sr.’s jump from the Globe’s circulation department to the newsroom in 1968, just after the Rev. Martin Luther King Jr. was assassinated. The Globe “took a hard look at its news staff — then employing just two blacks above the rank of clerk,” Lukas wrote, and editor Thomas Winship tapped Mr. Eure “to write the paper’s first black column, ‘Tell It Like It Is.’ ” Sometimes using a question-and-answer format, Mr. Eure provided blacks in leadership roles a chance to speak at length to readers. Often, though, he used his own powerful voice to add a perspective that had been missing in the paper. Mr. Eure, who spent 25 years at the Globe, retiring in 1988 as director of community relations, died July 2 in Presentation Rehabilitation & Skilled Care Center in Brighton of complications from dementia. He was 91 and had lived in Boston, and previously in Sharon, since the mid-1960s. “He was an amazing character, almost the conscience of the owners when it came to inclusion and diversity,” said Gregory L. Moore, who formerly was managing editor of the Globe and is now editor of The Denver Post. Mr. Eure arrived at the Globe in 1963, when the number of blacks on the paper’s payroll might be counted on one hand with fingers to spare. He put his position and power to use when he became a columnist and an executive at a time when the Taylor family owned the Globe and Winship was reinvigorating the newsroom. An only child, Dexter Dillard Eure was born in Suffolk, Va. He never knew his father, Luke, who left the family when Mr. Eure was an infant. His mother, the former Sarah Sharpe, died when he was 12, and he divided the rest of his youth between extended family and friends in Philadelphia and Suffolk. After finishing high school in Philadelphia, he graduated with a bachelor’s degree in mechanical engineering from what was then West Virginia State College. He worked in store advertising, first for Macy’s in New York City and then at Stop & Shop in Boston, before being drafted during the Korean War. Stationed at Fort Hood in Texas, he used his artistic background to produce maps and training materials. Returning to Stop & Shop as an artist after being discharged as a staff sergeant, Mr. Eure married Marjorie Ann Lowe in 1952. They had met when he was in Texas, and they settled in Sharon to raise their three sons. 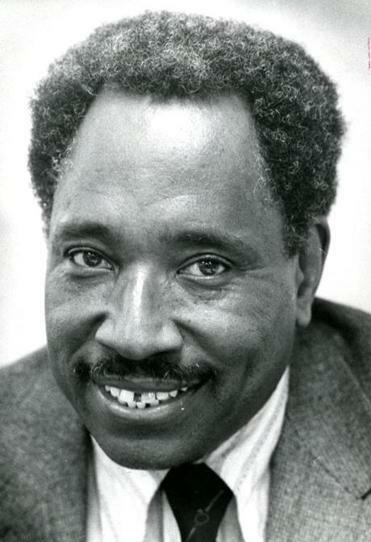 In 1986, the Boston branch of the NAACP presented Mr. Eure with the President’s Award. That same year the Massachusetts Black Legislative Caucus honored Mr. Eure for his efforts to energize the black community. In the early 1970s, Mr. Eure was appointed the Globe’s director of community relations, and he held other top advisory positions at the paper. When he retired in 1988, he retained his seat on the board of The Boston Globe Foundation. In addition to his son Philip and former wife, Marjorie, Mr. Eure leaves two other sons, Dexter Jr. of Sharon and David of Natick; and two grandsons. A service will be held at 11 a.m. Friday in Twelfth Baptist Church in Roxbury. Burial will be in Mount Hope Cemetery. Although Mr. Eure respected the Taylors and Winship for their advocacy, “he held their feet to the fire . . . and worked very hard to improve the black representation at the Globe and at media organizations around the country,” Philip said.